Parabens and phthalates are synthetic chemicals used in thousands of personal care products as preservatives to keep them from going bad. These two chemicals have been studied and considered a major cause of concern since 1982 because they've been found in human urine, breast tumors, and human fat. 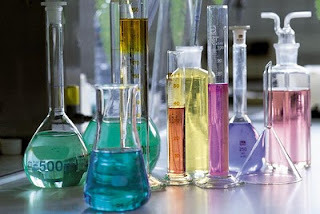 Parabens and phthalates, since 1982, and presently, are tested on lab rats. They have been proven to cause tumors in rats. Parabens and phthalates are a known cancer causing agents and even banned in other countries yet the FDA and Federal Government still allow these cancer causing chemicals in personal care products most of us unknowningly use everyday. These toxic chemicals are added in thousands of personal care products that your probably using everyday such as skincare, make-up, deoderant, toothpaste, body wash, body and facial soap, dish and laundry detergents. All you have to do is look at the back of the label and there's a 90% chance it includes either parabens or phthalates. Here's the type of products you should look for. Organic and natural products that say "paraben, phthalate free" which is usually on the front of the label. Kiss My Face and St. Ives are great skincare brands to start with. You can find them online at or Amazon.com, Drugstore.com, or in your local drugstore at Walgreens, Walmart or Target. Opt for healthy mineral make-up, rather then drug and department store brands filled with toxic chemicals including parabens. Not only is mineral make-up a better alternative, it's usually cheaper then department store make-up, lasts longer and gives you a luminous, airbrushed, glow. Try purminerals 4-in-1 Pressed Mineral Makeup with SPF 15. We love it because it's a pressed powder infused with soothing shea butter and vitamin E, that takes the place of concealer, powder, foundation and mineral veil so it's just one easy step. It's free of harsh chemical dyes, talc, alcohol and preservatives and is an allure beauty winner. Look for natural deoderant like Tom's Natural Deodorant , and phthalate free laundry and dish washing soap. You easily find these products online at Amazon.com , Drugstore.com , or at local drugstores like Walgreens, Walmart and Target. You can even grab some great organic products at Whole Foods or in your local grocery store in the organic section personal care section. Just because something says "100% Natural Extracts" or "Made with Natural Ingredients" doesn't mean it's non toxic and chemical free. Try to get in the habit of looking at the front and back labels to make sure it's paraben and phthalate free at a minimum. If we, the public stand up and stop buying all these toxic laden products, companies will eventually have to start making more healthier alternatives with the growing demand. When all possible try to buy "dye free and recycable packaging" too. This is not only good for you and your family but good for the environment too! Parabens and phthalates are two very different types of chemicals, and the results of the research done on them are very different as well. I believe there are scientific data on the phthalates (at least some of them, there are many, many different kinds) causing cancer, but I'm not sure the same can be said about parabens. I know they did a study where they found parabens in breast cancer tissue, but that does not mean it caused it. I don't know what kind of scientific background you have, but I suggest searching some peer reviewed journals. Those usually have the least biased info. I've seen a lot of very biased info on the internet about these issues.